Odisha govt. has announced extension of free health services under Biju Swasthya Kalyan Yojana on 17 January 2019. Now healthcare services under BSKY scheme would remain available in all Government Medical College Hospitals from 1 February 2019. All the patients whether from above poverty line (APL) or below poverty line (BPL) category would be able to avail health services and blood bank facility free of cost. Earlier under Biju Swasthya Kalyan Yojana in Odisha, the free treatment facilities for all were available from sub-centres at village level up to the district headquarters hospital level. The state govt. of Odisha had launched BSKY scheme on 15 August 2018 which had received an overwhelming response with around 2.25 crore instance of free healthcare taken by the people. 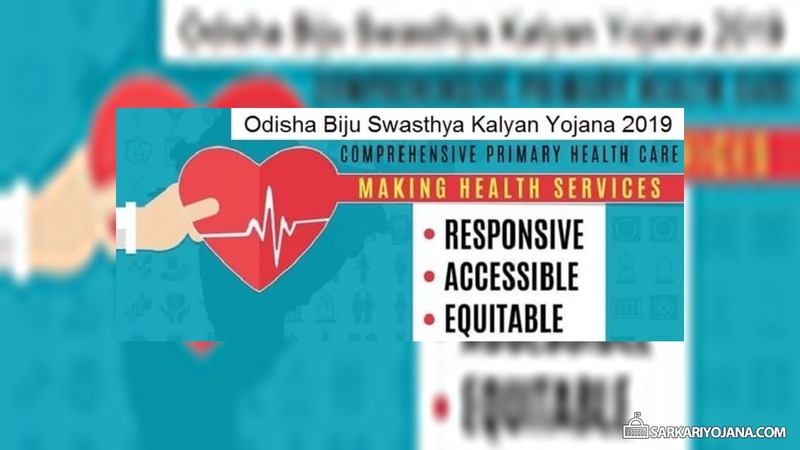 Under Biju Swasthya Kalyan Yojana 2019, govt. provides cashless treatment upto Rs. 5 lakh for secondary and tertiary hospitalization. This cashless healthcare facility is being provided to all the people and even there is no requirement of any income, residence or any document. Under BSKY Scheme 2019, govt. will provide free services which would cover all procedures in all government health facilities. This includes in-patient beds, surgeries, operation theatre (OT) facility, ICU facility without any charge. To successfully implement this decision of inclusion of govt. medical colleges, the state govt. has made an additional provision of over Rs. 100 crore from the state budget 2019-2020. BSKY women beneficiaries can avail health cover upto Rs. 7 lakh. Odisha govt. has launched this health insurance scheme to benefit around 3.5 crore people at any govt. or private empanelled hospital. Now in all empanelled private hospitals, around 70 lakh families would continue to avail cashless treatment. By taking this decision to include all govt. medical colleges in BSKY Scheme 2019, govt. creates another milestone towards achieving the vision of Universal Health Coverage (UHC) for the people.